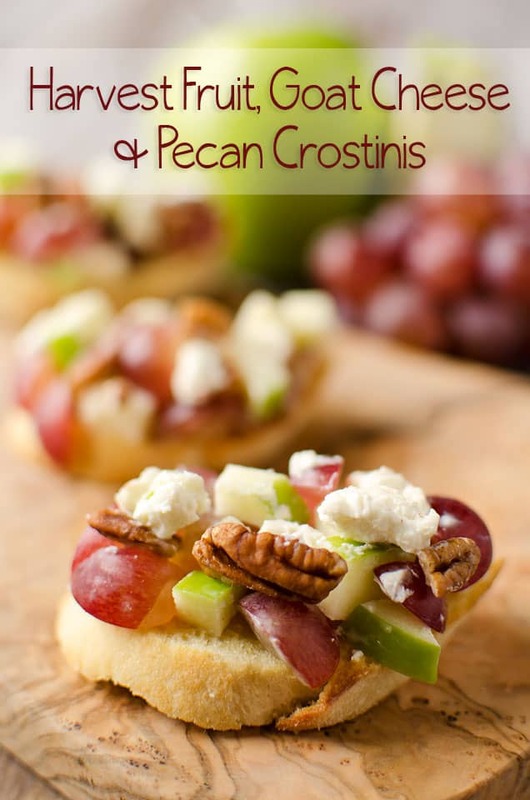 Harvest Fruit, Goat Cheese & Pecan Crostinis are elegant little bites with juicy grapes and apples with creamy goat cheese and toasted pecans that are perfect for entertaining in the fall. With the sweet summer fruits behind us, it is easy to forget about fruit this time of year. Grapes and apples however are in their prime this time of the year and it is a shame not to enjoy them in all of their fresh glory. 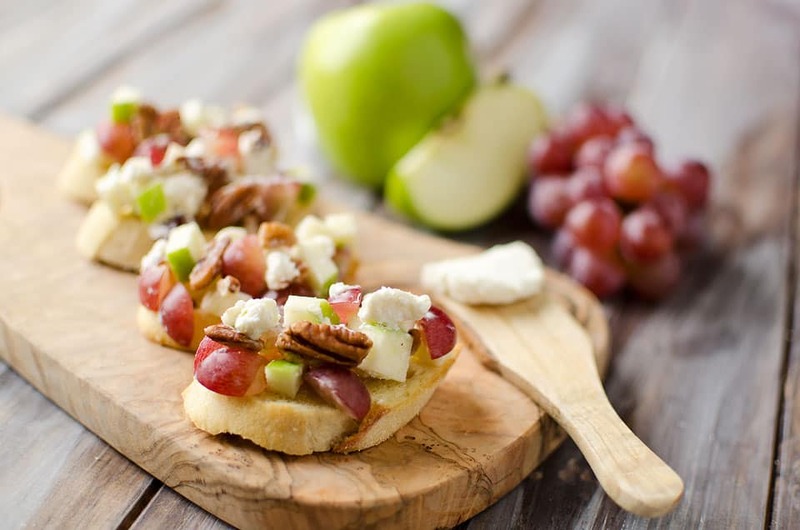 Not only are grapes fantastic in this appetizer, but we enjoy growing grapes on our farm to make wine. A few years ago, my Dad planted a small vineyard of white and red varietals that are hearty varieties, which are suppose to withstand Minnesota winters. Last winter was especially brutal though, and killed off a good majority of the grapes. Some of them still produced foliage this year though, which had been great for photos, but not so much for the wine cellar! Some of the dead grapes were pulled up and replanted this year with new varietals, but they take a few years before you can begin harvesting any grapes. Hopefully these ones can hold up a bit better to the harsh Minnesota winters, or maybe the winters just shouldn’t be so darn harsh! 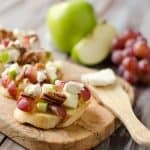 A quick and easy appetizer that combines juicy apples and grapes with creamy goat cheese and toasted pecans for elegant and flavorful bite. Slice your baquette into 1/2" pieces and layer on a lined cookie sheet. 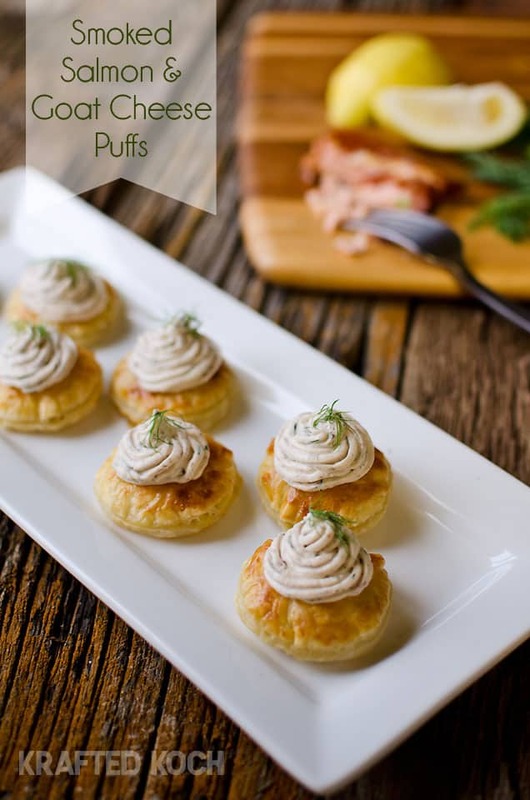 Brush the tops of each piece with olive oil. Bake at 350° for 8-10 minutes and remove from the oven to allow to cool. 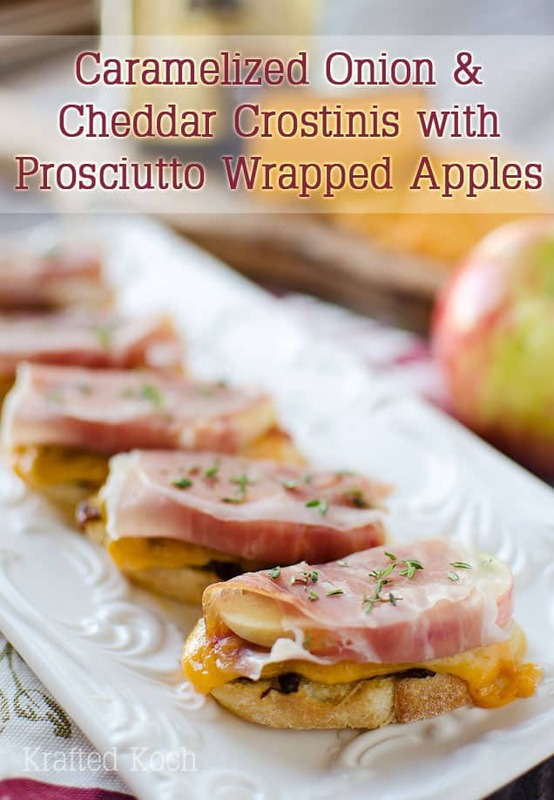 Top the crostinis or crackers with 1/4 c. of the fruit mixture and serve immediately. 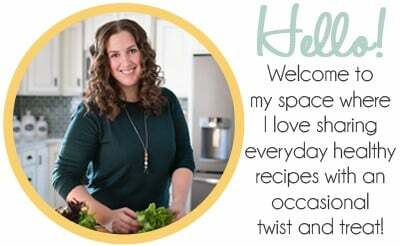 More Horderves your guests will love! 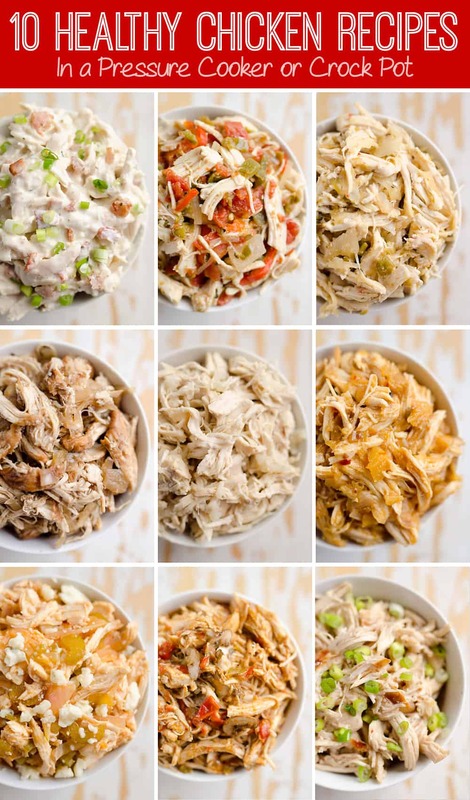 My mouth is watering just looking at these, Danielle. 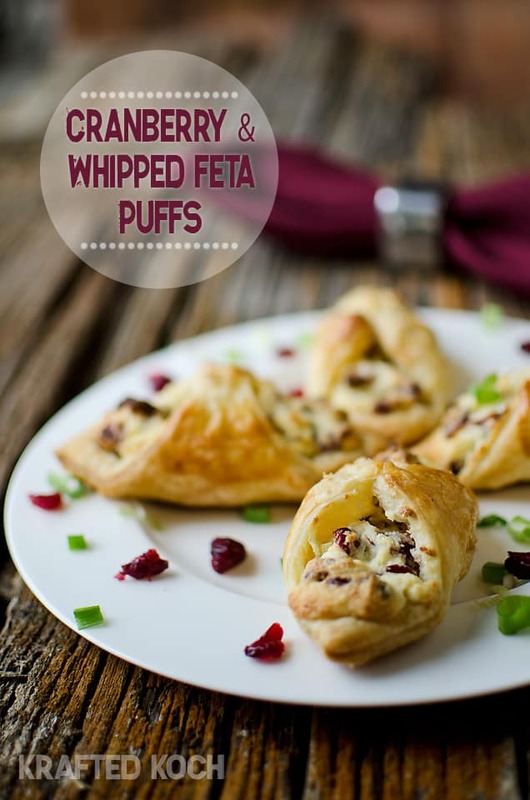 They look fantastic – I am definitely saving this recipe to serve as an appetizer soon! Pinned!